“Software as a service” (SaaS) is becoming an increasingly viable choice for organizations looking for the accessibility and versatility of software solutions and data analysis tools without the need to rely on installing and running applications on their own computer systems and data centers. SaaS is taking over the cloud computing market – in fact, according to a study from IDC, SaaS will account for roughly 60% of public cloud spending by 2020. Moreover, 73% of organizations state that almost all of their apps will be SaaS-powered by 2020, according to Kahootz. SaaS is a software distribution model that offers a lot of agility and cost-effectiveness for companies, which is why it’s such a reliable option for numerous business models and industries. It’s also popular amongst businesses for its simplicity and user accessibility, security, and the widespread connectivity that serves to streamline business models, resulting in maximum efficiency across the board. Today, most companies are in the process of implementing various business intelligence strategies, turning to SaaS BI tools to assist them in their efforts. 2018 was a breakthrough year for the SaaS world in many ways. With a new year on the horizon, in this article, we’ll explore 6 essential SaaS trends that will stand out in 2019. But, before we do that, we will discuss myths and general characteristics revolving the industry that will help put additional light for the SaaS industry trends 2019. Exclusive Bonus Content: Get The Top 6 Saas Trends Handbook! Learn what will enhance the SaaS infrastructure in our free cheat sheet! SaaS tools offer just one application: On the contrary, SaaS tools range in form and function as much as any other type of software available today. In fact, Computer World’s official directory of SaaS providers now lists more than 950 companies that offer SaaS across a multitude of different industries. SaaS is less robust, reliable and less secure than traditional on-premises applications: Despite some SaaS-based teething problems or technical issues reported by the likes of Google, these occurrences are incredibly rare with software as a service applications – and there hasn’t been one major compromise of a SaaS operation documented to date. Before we explore our essential software as a service trends for 2019, it’s important to consider what defines SaaS as not only a technological development, but as a working business model. Flexible payment options: Businesses don’t have to go through the expense of purchasing software and hardware. Instead, they have the option of utilizing various pricing structures. Flexibility in payment models, where they only pay for the resource usage they need, for instance, is attractive for many organizations in today’s competitive world. Scalability: Cloud-based SaaS enables businesses to expand with ease due to its inherent scalability. Companies can be selective about the types of features and options they want. Updates: SaaS providers handle the necessary software updates and develop new features over time, so businesses don’t have to invest ample amounts of time in this particular area of operation. Accessibility: With SaaS, businesses have the mobility of accessing applications from any digital device and location, making it especially convenient for mobile platforms. Additionally, it boasts ease-of-use and is user-friendly. Increased collaboration: SaaS developments enhance a business’s ability to promote collaboration across teams and departments due to the facilitation of file sharing, in addition to a distinct ease of reading and understanding across systems. 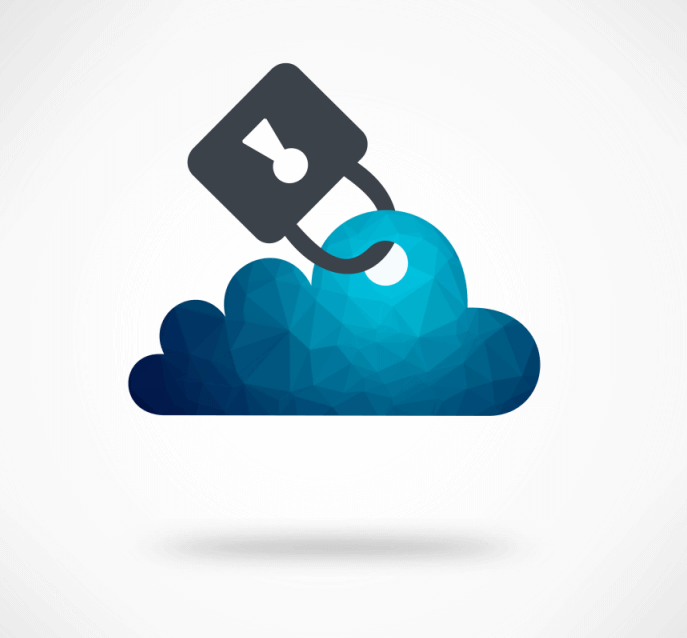 Security: Most SaaS models are known for their enterprise-level security, which is a more holistic approach to security than many centralized, on-premise solutions. In Cloud SaaS, pre-existing disaster recovery protocols are in place to manage potential system failures. This means that your business’s data is available and secure regardless of a data breach or system failure. As businesses continue to rely on innovative data discovery tools and technologies to increase both their productivity and their efficiency, and as new software as a service trends continue to emerge, this young, groundbreaking industry can only go from strength to strength. Even if figures diverge somewhat, the many forecasts conducted on SaaS industry trends 2019 demonstrate an obvious reality: the SaaS market is going to get bigger and bigger. Indeed, according to Forbes, public cloud platforms, business services, and applications (SaaS) will all grow at a 22% CAGR (Compound Annual Growth Rate) between 2015 and 2020, reaching $236 billion. A Betterbuys.com report reveals that the specific expenditure in the U.S. SaaS Industry is forecasted to reach $55 billion by 2026. And according to Gartner, the global public cloud service market is projected to grow 17.3% in 2019 to total $206.2 billion, up from $175.8 billion in 2018. The first of our most impactful trends in SaaS is of the autonomous, self-learning variety. Today, Artificial Intelligence is all over the place – it made the top of our list of our business intelligence trends for 2019 – and next year, it’s expected to make some serious waves. Artificial Intelligence (AI) technologies are becoming more widespread; 81% of the world’s IT leaders are already working on developing AI systems. AI optimizes businesses processes, increasing productivity and efficiency while automating repetitive tasks and supporting human capabilities. Within business scenarios, Artificial Intelligence (as well as Machine Learning, in many cases) provides an advanced degree of responsiveness and interaction between businesses, customers, and technology, driving AI-based SaaS trends 2019 onto a new level. At datapine, we developed a new feature based on artificial intelligence: the data alerts. With an AI algorithm using the most advanced neural network for anomaly detection, and a machine-learning algorithm for pattern recognition, these data alerts learn from trends and patterns and let you know as soon as something important happens. That way, when a pre-set goal is met, or when something unexpected happens, you will be notified, enabling you to keep continuous control over your business. Since it is often easy to lose track of what really matters when so many KPIs have to be monitored, our online reporting software will safely keep an eye on your data and anticipate any fluctuation and change – and alert you when it veers off course. Artificial Intelligence is positioned to disrupt the SaaS landscape in a variety of ways, improving the key characteristics of the SaaS model across the board. When SaaS is combined with AI capabilities, it enables businesses to obtain better value from their data, automate and personalize services, improve security, and supplement human capacity. How will AI improve SaaS in 2019? Automation: Machine Learning, a subset of AI, is utilized in SaaS to automate responsiveness in customer service reports and applications, such as AI-powered chat operations with live chatbots. It will also automate the onboarding process of SaaS. Personalization: Software is easier to use with technologies such as Natural Language Processing (NLP), which automatically processes human speech patterns, and voice control. This can be deployed across customer service functionality to improve customization and better address client needs. Speed: Artificial Intelligence-enabled SaaS speeds up internal processes and operations, allowing businesses to obtain fast answers to questions, make quick forecasts, and speed up their overall level of responsiveness. Security: Due to Artificial Intelligence-enabled automation, and the ability of Machine Learning to recognize patterns, SaaS security is enhanced by the quick identification and remedy of potential threats with built-in self-recovery. 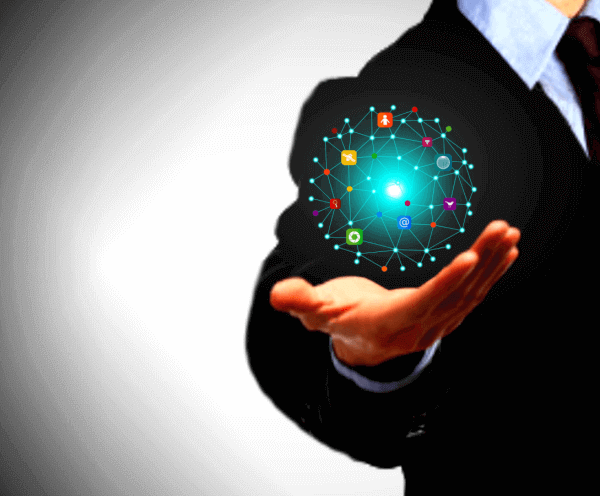 Artificial Intelligence-optimized SaaS solutions provide businesses with the ability to augment their internal processes with fast automation, more efficiently address customer service operations, and improve the level of personalization and responsiveness throughout their processes, which will remain one of the trends in SaaS to keep an eye for in 2019. Our second forecast for SaaS trends in 2019 is Vertical SaaS. Whereas Horizontal SaaS focuses on clients across any sector and industry, Vertical SaaS is completely customizable, targeting clients within specific industries and supply chains. Some examples are healthcare BI software, retail analytics software, or modern logistics analytics. Companies who are looking to benefit from specialization are finding Vertical SaaS to be a cost-effective, industry-specific option that allows them to refine the customization of certain features. Why the Vertical SaaS trends are going to have such an impact in 2019? Vertical SaaS providers also have the ability to adapt features according to client demand and industry, and effectively address customer needs within their niche. This results in more flexibility and upselling opportunities, and lower customer acquisition costs. Customer intelligence: Enables businesses to obtain industry-specific customer data and intelligence, which plays a critical role in gaining customer-focused insights. Pre-defined metrics and KPIs: Vertical SaaS is already integrated with pre-defined metrics, KPIs, and analytics that businesses can utilize to assess and address daily and long-term processes and performance. Business value: Software is designed to meet industry requirements; therefore, it provides a higher degree of business value for company operations and performance. Improved data governance: Vertical SaaS is positioned to address data governance procedures via the inclusion of industry-specific compliance capabilities, which has the additional benefit of providing increased transparency. A higher standard: In 2019, a higher quality service from industry-specific vertical SaaS providers will emerge, as each developer aims to distinguish itself from the ever-increasing crowd. The API (Application Programming Interface) has been a fundamental part of software development for years, and this is precisely what our third SaaS trend focuses on. With the explosion of SaaS solutions and adoption by the market, the need to integrate them into an existing business system appeared. Some companies may want to migrate all their data to a cloud platform, but many actually would rather harmonize it with their already existing infrastructure in order to improve it – and this is where the problem lies. At first, SaaS providers didn’t come with a complete integration solution. That failure served to complicate the work and caused them to disappoint their customers as a result. They would then redirect their clients to a third party to supply the specific APIs enabling the customer to integrate the cloud solution into their existing system. It was indeed better for the SaaS developers not to reinvent the wheel, and to win some precious time and resources relying on third-party APIs. Their go-to-market time frame was shorter, and they could focus on their core capabilities to develop differentiated functionality. What capabilities is the provider offering me to integrate the SaaS within my existing business system? Can this provider also integrate the legacy systems I use? Is my data protected while the integration process is worked through? One of the most effective ways to serve the needs of your target audience is through equal measures of inspiration and education – and as more SaaS providers tap into this mentality, we expect thought leadership will become a prominent software as a service trend in 2019. At present, only 24% of SaaS businesses publish content to educate or enlighten. Others are solely company-focused, and 11% of the primary players don’t even operate a blog, according to Callbox. Astonishingly low figures by all accounts. But, as the landscape becomes competitive with more SaaS startups competing for the attention of savvy businesses like yours, there will be far more SaaS resources available in the form of videos, interactive apps, blog content, eBooks, and digestible whitepapers. In turn, this will make software as a service even more widely accessible while offering businesses a wealth of new information about the industry, making it all the more transparent as a result. Mamoon Hamid: A well-respected industry expert and board director on 16 SaaS operations, including Wave HQ and CloudOn. Noah Kagan: A celebrated tech player and one of the web’s leading SaaS experts. As the software as a service industry evolves and innovation increases, many developers or providers will focus on customer retention on top of customer acquisition. That said, in 2019, we expect to see SaaS migrating towards the realms of PaaS (platform as a service) – developments that empower businesses to build custom apps as add-ons to their original services. The likes of Salesforce and Box have recently launched PaaS-centric services in a bid to hold a strong market share in their niche, and we expect to see this SaaS trend become all the more prevalent this coming year. The enhanced features, functionality, and ability to customize will enhance your overall business agility, giving you more time and creative space to innovate and focus on your core commercial initiatives. PaaS offerings are, by their very nature, robust, flexible, and accessible which means you will be able to scale your business more easily by using a platform as a service. Security is a distinct advantage of the PaaS model as the vast majority of such developments perform a host of automatic updates on a regular basis. The sixth and final of our software as a service trends comes in the form of a little something called micro-SaaS. Like any innovative and invaluable industry on the rise, large numbers of players begin to enter the arena, saturating the market and intensifying the competition – which means in 2019, and beyond, SaaS companies will have to find new ways to innovate, offer value, and connect with new prospects. In response to a new, more cutthroat climate, we expect to see more micro-SaaS innovations emerge from the woodwork this coming year. Typically, micro-SaaS businesses are run by a small team, sometimes even by one or two people. Micro-SaaS products are usually complementary add-ons to existing platforms or developments, created with the aim of improving a missing feature or enhancing an existing SaaS product. These more niche, more “miniature” SaaS offerings could prove increasingly valuable to businesses across industries in 2019, which means we can all expect a host of fresh micro-SaaS innovations over the next 12 or so months. SaaS industry trends aren’t showing any signs of slowing down, and innovative SaaS solutions will only continue to grow in the coming years. 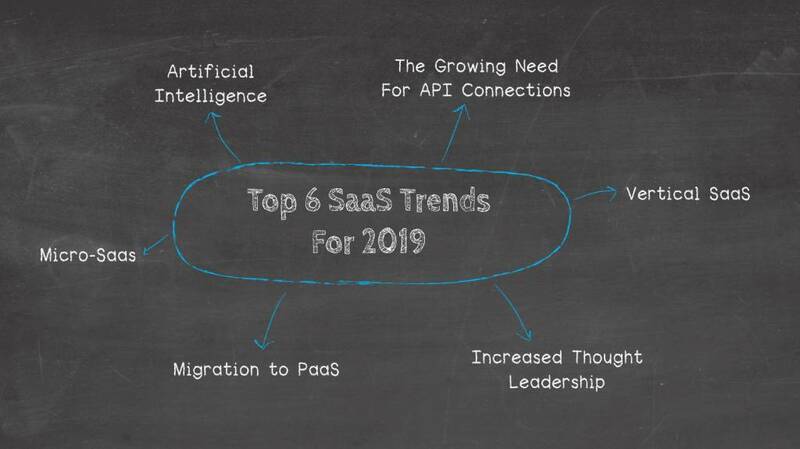 Artificial Intelligence-empowered SaaS, Vertical SaaS, the growing need for and development of API connections, increased thought leadership, a migration to PaaS, and a plethora of micro-Saas offerings are our top 6 SaaS trends 2019 awaits. As data continues to be the driving force behind smart business strategies in a digitally dependent world, SaaS options are going to be an increasingly convenient and affordable option across industries, both now and in the coming years. With these 6 SaaS trends positioned to further enhance cloud-based solutions as we stand on the cusp of 2019, organizations will have the technological capabilities to drive their business objectives towards successful outcomes. For more digitally-driven insights, explore our guide to getting started with big data analytics and business intelligence for small business. If you’re ready to experience your own SaaS solution, you can try our 14-day trial completely free!